Today we are going to take a look at one of Ohio State’s real strengths: the tight ends. Recent history has shown that OSU doesn’t use the tight end in the passing game very much. They’re glorified skinny tackles, an extra blocker for the offensive line. We haven’t had this much talent at tight end in recent history either, though. Not since Ben Hartsock have we had as talented a tight end as we do with our starters. On top of that, OSU has a stable of capable backups to go with the starters that, in, previous years would have easily started and thrived if OSU used the tight end as an offensive weapon. So lets get this started and talk about the two starters and hit the talking points about the backups. Tight End #1 – This first guy is an absolute stud. He has the ability of a wide receiver but the body of a tight end and he has improved his strength and blocking. 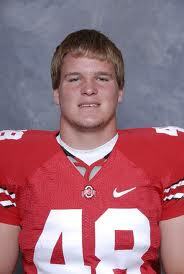 Jake Stoneburner is a 6′ 5″ 245 pound redshirt junior out of Dublin Coffman. He has size and speed. Jake has shown flashes of greatness but has been under utilized immensely in his career. Word out of camp this year is that it is about to change dramatically. Coach Fickell has said that he expects to use the tight end in the passing game more and that Jake will line up occasionally as a wide receiver to give his quarterback a bigger target and allow him to use his size and strength to over power smaller defensive backs or take advantage of slower linebackers if the defense doesn’t realize what’s going on. Overall, Jake has a chance to be great if he is just given the right system to flourish in. Tight End #2 – Size, size, size. That is what I see in the #2 tight end this year. Reid Fragel is 6′ 8″ 280 pound true junior out of Michigan. Reid had a fairly successful year in 2010 even as the backup tight end in a system that doesn’t give the tight end a chance to shine very often. Reid is mostly known for his power and blocking but he is a sure handed pass catcher and has proven to be a valuable asset. Given that Coach Fickell wants to use the tight end more he should see his productivity increase in 2011. The above listed tight ends are very capable players and should shine this coming season. If for any reason though they falter or get injured the backups will fill their shoes and step right into their spots. 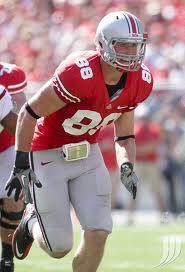 OSU has gotten a talented group of tight ends and the guys I am about to list are ready to earn their playing time. 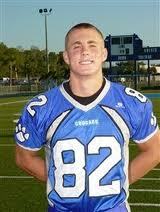 Jeff Heuerman – Is a 6′ 5″ 240 pound true freshman out of Florida. He was a highly touted recruit and is very good at pass catching and blocking. As a side note, his dad played basketball at, of all places, Michigan, so score this one a victory for OSU. Kyle Schuck is a 6′ 1″ 225 pound redshirt freshman walk-on tight end from Pennsylvania who may get a chance on special teams this year. 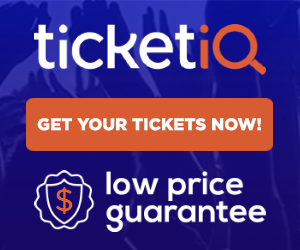 Spencer Smith is a 6′ 2″ 236 pound fifth year senior from Cincinnati whose brother, Connor, was an offensive lineman for the Buckeyes. He is a capable blocker and finds a place on special teams. 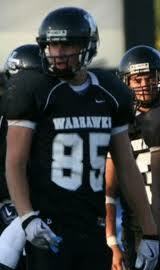 Nick Vannett is a 6′ 6″ 235 pound true freshman tight end from Westerville. 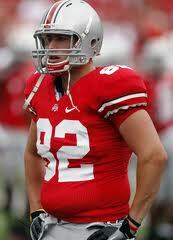 He is the highest ranked tight end recruit OSU has had in a long time and has the skills to produce early and often. He is a polished receiver and blocker already and should have a great career that will start early. I had no idea Fragel was such a large young man. He is like another tackle out there. I saw we go to two tight end sets all season long. When we are in 2 TE sets and they send Jordan Hall out wide from the backfield and let Braxton Miller move out of the pocket to find either TE or Hall or even run it I think that will be our best play every game. I am so excited to see these TEs get involved in the offense in other ways then just blocking.